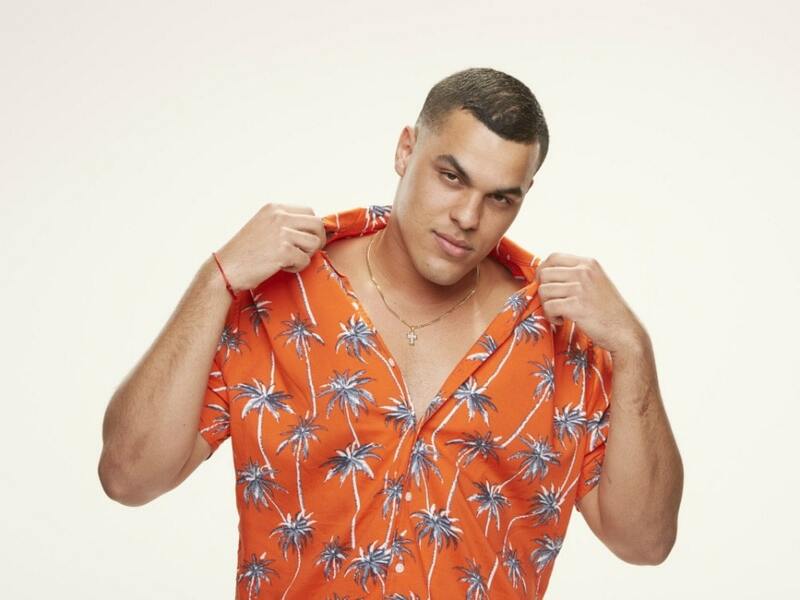 Big Brother winner and Miami native Josh Martinez chatted with us about his newfound fame, being the first Latino to win the show, and what he'll be spending his prize earnings on. When Josh Martinez entered the Big Brother house, he was largely unknown compared to the seasoned vets who returned for Season 19 of the show. But, that didn't stop the 23-year-old Miami native from causing one of the show's largest upsets when he beat returnee and fellow housemate Paul Abrahamian for a grand total of $500,000. In our chat with the reigning king of Big Brother, Martinez dishes on what he plans to spend his prize money on, how his family and friends reacted to him being on the show, and what it was like dealing with his newfound fame. First, let me congratulate you on your Big Brother win! How does it feel to finally be out of that house? JOSH MARTINEZ: The weird thing is—now that I’m out of the house—I’m constantly looking for my mic. I woke up today and I was like, “Oh, they’re not yelling at me because I’m singing or yelling at me to wake up,” which was weird. I thought I was going to jump out of the Big Brother house and go back to my normal life and go back to everything, but I guess, it’s just the instant notoriety or getting recognized, and things like that—I can’t even go to the grocery store without having people coming up to me, doing the damn song, and trying to take pictures with me. I’m just blessed, man. It’s pretty awesome. I still have to take in everything that happened in, but this is my new life and I’m getting used to it. Have you thought about what you'll spend your prize money on? JM: I actually have my own hair care products on eBay, Amazon, and online outlets like Zapp. My parents go and sell some of it in the hair care industry, and they have their own hair care line. They’ve been doing that for, I want to say, for 15 or more years. But I would love to just invest some money in real estate and get into flipping houses, and have some cash flow come in from just real estate, properties, and things like that. It’s something that I’ve always wanted to do, but I didn’t have the money to. I didn’t want to borrow someone else’s money. So now that I have my own money to do that, I can invest in some real estate and grow my business, and save some of that money and enjoy it with my family. We’ve worked really hard, and those few months in the Big Brother house were not easy, so I’m going to take some downtime and take a vacation with them. I've heard people on reality TV say that they forget about the cameras when they're live, but were there things you decided you would and wouldn't do on the show? JM: Good question! My family before that went through a list of things that I couldn't do, didn't want me to do, and couldn't talk about. And the one thing I told her, "Mom you raised me to be this 23-year-old man. You know me better than anybody else, so you don't have to worry about anything. You know your son, you know who I am, and you know how I act in certain situations." So everyone was very proud of how I was myself in every single situation, and every single argument, and in the diary rooms. They told me, "Josh you were yourself and that's what made us so happy. We didn't care whether you won or lost because you remained yourself 24/7." And I really don't know how I could be somebody else or try to downplay who I am. I wouldn't be able to change it for a TV show. Does being the first Latino to win the show matter to you? JM: Not only has it been a dream to play the game, but it's surreal for me to be the first Latino to win. I just wanted to represent myself. I don't see myself as being a role model. But just being the first Latino to win and to hear people say it is such a huge blessing and accomplishment for me. Not only that, but for all the Latino fans who want to try out for Big Brother who've never seen someone Latino win the game. I think if it empowers them to see me on the show and motivates them to try out, I hope to see more Latinos on the show. Big Brother is not looking for typecast roles. They're looking for authentic people. I owned my heritage and culture, my Cuban roots, and I think they loved that about it. Now be honest with me, with all this newfound fame, how many booty calls did you get after the show aired? JM: [Laughs] Oh, God! It’s kind of crazy what 15 minutes of fame and the amount of attention from the show can get you. In some ways it's pretty scary! But I’ve gotten calls like that and girls have definitely reached out to me, and it’s kind of weird. But to be honest with you, if it’s not a genuine connection and it’s not something where I feel it’s genuine or anything like that, I’m not investing in it or anything like that. I appreciate the love, and thank you for the cards, they call me king and call me daddy, but yeah, it’s really bizarre. I mean, dating is cute, but I’m focusing on my business, my family, and myself. Would you ever date anyone from the show? Was there a showmance we missed out on? JM: My type is definitely a girl like Elena. Her personality, her confidence, she owns who she is. I think that I like confidence in a girl, someone who’s being true and is secure in who they are. It doesn't matter what your ethnicity is. If you're confident, if you have this vibrant personality, I just want to be around you. I'm attracted to that stuff. That attitude drives me crazy. She knows she's a badass, she knows she's beautiful, you don't have to tell her that all the time. I love that confidence that a girl just carries. Drives me nuts. Now that you're back home, tell me where you'll be hanging out... so these girls can find you. JM: First of all, I wake up every morning and go to a famous bakery called “Vicky’s Bakery." It’s a Cuban bakery here in Miami. They make the best Cuban coffee. They'll hook you up. There’s a brunch place that we go to on Sunday called George’s on Sunset. It’s pretty awesome. And then, Cuban cuisine, you have Versailles, which is a pretty good bakery. I don’t know if you’ve heard of it, but El Palacio de los Jugos is my spot! It’s a Cuban buffet where you can pay $10 and you can get a plate of rice, beans, meats, and plantains… It’s pretty awesome. On Tuesdays, I’ll go to Wet Willie’s, get something to eat at Big Pink. I just love being either in South Beach, Fort Lauderdale, or down in Wynwood.